Video Game Maxi Poster: Create your own Holy ambiance and worship your favourite characters with this strangely stunning maxi poster. 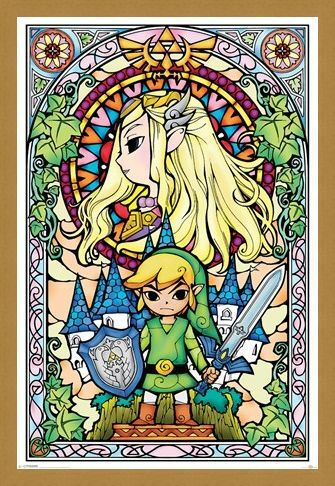 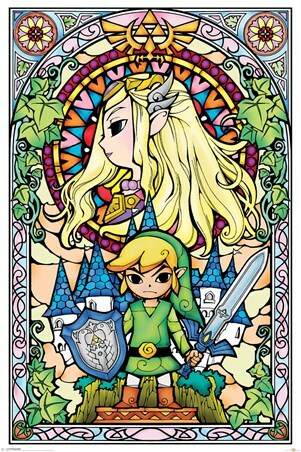 Coloured in an array of bright and vibrant colours, characters Link and Zelda are seen with the distant kingdom of Hyrule in the background. If you are a fan of the little boy in green and the beautiful blonde damsel this poster deserves a place on your wall, guaranteed to add a splash of vivid colour. High quality, framed Holy Hyrule, The Legend Of Zelda poster with a bespoke frame by our custom framing service.